Have you gotten acquainted with this quarterly magazine, published for the spread of New Testament Christianity? If not, we invite you to write us for a free copy (US only). We are sure that when you see it and have opportunity to go through the line-up of articles, you’ll be an instant subscriber! You can view the entire history of this magazine at Scribd, an online publishing service. The Voice of Truth International is published in seven languages: English, Spanish, Tamil, Telugu, Hindi, Nepali, and Paite. It is designed for many practical uses: for family devotionals, for church devotionals, to share with contacts, for reading material in public waiting rooms, as well as for personal study. 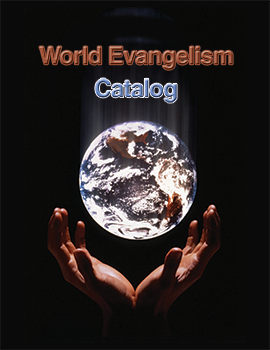 About half of each issue is sent to foreign mission fields where they are used in personal evangelism and as resource materials for preachers and local Christians. Each magazine has numerous sections (God, Evidences, The Word of God, Salvation, The Church, The Christian Home, Daily Christian Living, Bible Characters, Sermon Outlines, Textual Studies, etc. ), so that people who have no access to a library or reference study materials can gradually build their own library with helps in these different categories. A subscription to The Voice of Truth International is US $15 for four issues, $25 for 8 issues. At this point, we cannot take foreign subscriptions because of the exorbitant cost of postage. If you, as a foreigner, would like to request being added to the mailing list, you may submit your name and address, and we will respond according to the funds available to us. 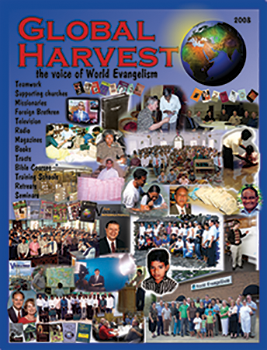 In the efforts of the church to evangelize the world, the importance of a magazine such as The Voice of Truth International cannot be over-stated. We urge congregations to help us with its printing and distribution. For $30 a month ($350 a year), you can receive 35 copies of each of the four issues for use in the local congregation or in your local teaching program. Because this is a non-profit effort, your use of the magazine enables us to send boxes to foreign mission fields. Another option is for contributions to help cover the printing/shipping costs to Christians and churches overseas. This suggested figure is within the range of almost any congregation, we also encourage individual brethren to help us get more of these magazines out to mission fields of the world by contributing $35 a month, enabling us to send one box of each issue to a foreign field. If there is a particular name and address to which you would like for your box to be sent, give us that information. We want to work with you on this. You are invited to browse through a sampling of articles from the current issue and also from our archives. Thank you so much for helping us spread the Gospel to the world. We use PayPal for accepting online donations. If you have any questions about online donations, please contact us. A PayPal account is not required. Please specify the amount you wish to donate (in US dollars). Please note that a portion of your donation pays for a credit card processing fee (currently 2.9% of the donation plus 30 cents). For example, a $100 donation would incur a $3.20 processing fee, resulting in an actual $96.80 donated. If you wish to cover this fee yourself, adjust your donation accordingly. Please select whether your are making a one-time donation or making a recurring donation.